We cannot wait for the upcoming meeting! Due to record attendance last year, we have outgrown our old venue at the Pennsylvania Medical Society! The PAP 2019 Annual Scientific Meeting will be at the Harrisburg Hilton on Friday April 5th and Saturday April 6th. Friday evening will feature our second annual resident team jeopardy-style tournament. On Saturday we have a great lineup of speakers including our keynote talk, “FNA of Metastasis from Unknown Primary” by Dr. Jan Silverman, System Chair of Pathology and Laboratory Medicine, Allegheny Health Network. Additionally, there will be vendor tables, abstract presentations, CME and SAM credits, and most importantly, opportunities to see and interact with your colleagues. Registration is currently available at our website https://www.papath.org/meetings--events.html. We look forward to seeing everyone there! Recently, the Pennsylvania Civil Procedural Rules Committee proposed an amendment that would allow medical liability lawsuits to take place outside of the county where the alleged malpractice occurred. If passed, this change would allow prosecutors to cherry-pick venues, resulting in more lawsuits and higher premiums for all physicians. This WILL critically affect the bond between physician and patient. A template letter is available at https://www.pamedsoc.org/venue-rule-change/comment that is quick and easy to complete and will go directly to Karla M. Shultz, Counsel Civil Procedural Rules Committee. Although the comment period ended February 22nd, we encourage you to continue to forward your comments to Ms. Shultz at civilrules@pacourts.us. PAP has partnered with the Pennsylvania Medical Society, specialty societies, and other healthcare organizations to make it easy for you to voice opposition to amending Pennsylvania Rules of Civil Procedure 1006. Visit the Venue Rule Change website at https://www.pamedsoc.org/venue-rule-change/comment to submit your comments. The site also provides additional resources on this critical issue. If you have questions or need assistance, please contact info@papath.org. Pathology residency quickly teaches us about how little we are taught about the discipline in medical school. For those of us lucky enough to have spent time on quality pathology electives the learning curve is at least a little less steep. Learning about all the details of both anatomic and clinical pathology, while at times overwhelming, typically comes naturally while training. Variation in speed and retention are of course expected, but ultimately, we are all working toward the same goal – the ABP board examination. Some of the hardest concepts to grasp seem to be lab management and regulation, possibly because true exposure to these aspects can be difficult during training. Their inclusion on the board examination at least ensures we must learn something about them, but it can be hard to grasp the big picture. Getting even more granular within those topics is the idea of validation and verification and the statistics that go with them. While most people are familiar with basic statistics and concepts from medical school, these are often not enough to analyze and interpret this kind of data. When the focus is on “board relevant” material, it can be difficult to find time to teach yourself more complex statistics to apply to these theoretical exercises. However, this analysis can be critical if your future job involves “medical director” duties. My exposure to these topics has also brought about an understanding of programming – using a program like R allows for easier analysis of data of many kinds. My limited experience in programming was from my undergraduate career and consisted of some basic VBA knowledge. Prior to PGY-2 I had never even heard of R and had never seriously learned about programming. This gap in knowledge has also been highlighted in learning more about one of my fields of interest, molecular pathology. Knowing about the technology and how to interpret data is one thing, but, understanding the process of building a bioinformatics pipeline and analysis platform was completely foreign to me. Concepts like optimization and virtualization of these processes were also unknown. One attending at my institution built our pipeline and platform from scratch in Python, and I have fortunately had the opportunity to scratch the surface of the basics of informatics and infrastructure in molecular pathology with him. These experiences have shown me the power of programming knowledge and have also made me regret never taking classes or learning more in school. Thankfully, there are many resources available to learn Python, R, or any other programming language that could suit your needs. I think it would be beneficial to have these resources available for residents, fellows or even those currently in practice to increase their skill set. These skills could be applied to improve many aspects of a practice – one of our current fellows had worked on a slide tracking application, an online digital slide viewer, and an application for visualizing molecular data. The incorporation of laboratory-related statistics and possibly even some aspects of programming into pathology training could be very beneficial to the future of the field. For those of us already past or currently in training, it is never too late to start learning skills that could greatly benefit our futures. PAP has been working with the CAP on a number of state and national legislative issues. The CAP needs us and other state pathology societies as partners to work with our respective state and national representatives on legislative issues. Thank you for fulfilling your civic duty in becoming a PAP member since the more members we have, the more clout we Pennsylvania pathologists have with our legislators. Even though we are fortunate to have a strong CAP lobbying presence in DC, our state and federal legislators respond much more readily to us, their voting constituents, than to a CAP lobbyist. The following are some key legislative initiatives that we have been working on with the CAP in conjunction with other State Pathology Societies. Watch for updates on these issues in Statline as the saga continues with the new session of Congress. Coverage denials involving pathology and other specialties have compromised the quality of care and access to innovative treatments for some Medicare beneficiaries. On September 12, after years of lobbying efforts by the CAP, the House of Representatives passed the Local Coverage Determination Clarification Act. This legislation aimed to make the process that regional Medicare Administrative contractors (MACs) use to make local coverage decisions at the state level more accountable and transparent. Unfortunately, the Senate failed to move the bill forward despite efforts by the CAP, its members, and State Pathology Societies. The Centers for Medicare & Medicaid Services (CMS), in response to the intensive focus on the LCD process (which includes advocacy by the CAP) and changes mandated by the 21st Century Cures Act of 2016, updated its manual in October 2018. Revisions included those long advocated for by the CAP, such as open meetings and upfront disclosure of the evidence that MACs will use when developing LCDs, thereby giving the public a bit more of an opportunity to provide input into the development of local coverage determinations. The CAP will continue to push to improve the LCD process through regulatory action and congressional engagement. There will be more to come on this issue. PAMA is the acronym for the Patient Access to Medicare Act, which was signed into law in 2014 with the CMS issuing regulations to implement PAMA requirements in 2016. One of the purposes of PAMA is to cut Medicare payments to clinical laboratories. Among other policy changes, PAMA required the CMS to establish a market-based payment system for laboratories paid on the Clinical Laboratory Fee Schedule (CLFS). Data collection began in 2016 and the CMS released final 2018 CLFS rates for tests in November of 2017. As part of PAMA, cuts to individual tests are capped at 10 percent annually for the first three years (2018-2020) and then capped at 15 percent annually over the program's final three years (2021-2023). In December of 2018, the CMS released the final 2019 payment rates for the CLFS, which are effective for claims with dates of service on or after January 1, 2019. Lab payment rates are now based on the weighted median of private payer rates along with other data reported by laboratories that receive more than $12,500 in Medicare revenue and greater than 50 percent of their revenues coming from Medicare payments for laboratory and physician services. However, the private market data collected for the CLFS did not accurately reflect all sectors of the clinical laboratory market and most hospital labs were exempt from reporting. There are civil monetary penalties for failure to report, although, the CMS chose not to exercise authority to issue those penalties for the first data reporting period. In the 2018 Physician Fee Schedule final rule, the CMS made changes to the majority of Medicare revenues threshold and the definition of applicable laboratory. First, the CMS changed the majority of Medicare revenues threshold such that Medicare Advantage plan payments under Part C would not be considered Medicare payments for purposes of the applicable laboratory definition. The CAP supported this move to include more laboratories in the definition of applicable laboratory. The CMS also changed the definition of applicable laboratory to include use of the Form CMS-1450 bill type 14x. The CAP stressed that it is critical that the CMS ensure data is collected from all segments of the industry to not skew the resulting PAMA rates, and that we would welcome changes that move in that direction. The impact this change will have remains to be seen from the CAP’s perspective. In general, there are significant concerns about flaws in the data collection process and the CAP is working with stakeholders to seek legislative relief from PAMA, which will disproportionately affect smaller laboratories and potentially create further pressures for laboratory consolidation and could have an impact on access to patient care especially in rural areas. Throughout the 2018, the CAP has joined organizations representing patients, labs, diagnostic manufacturers, and health care professionals in urging Congress to act to reform the PAMA and protect access to laboratory services for patients. The American Clinical Laboratory Association (ACLA) filed a lawsuit to halt execution of the new market-based Medicare pricing for laboratory tests under PAMA. The US District court recently dismissed this lawsuit and the ACLA is appealing this dismissal. The CAP along with AdvaMed and the National Association for Support of Long-Term Care filed a court brief to support the ACLA’s current appeal to reverse the dismissal of their lawsuit. There will be more to come on this issue. Many states have recently adopted or are in the process of adopting various forms of balance billing legislation designed to protect hospitalized and emergency care patients against “surprise medical bills” from hospital-based specialists, such as pathologists, radiologists, and emergency physicians who are not in the patient’s insurance network. PAP has joined a provider coalition consisting of major physician specialty societies, PAMED, and Physicians for Fair Coverage. The PAP and CAP have retained a lobbyist, Jay Layman of Capital Associates, to help PAP represent Pennsylvania pathologists and the patients we treat. We cannot rely on the other members of the coalition to do the work for us since the agendas of hospitals, health networks, and the various medical specialties are not always aligned. What is PAP advocating for? We want better regulations for the insurance industry and not just a prohibition on balance billing. Insurance plans approved by Pennsylvania must document that they have adequate hospital and physician services. It should be unlawful for an insurance plan to imply a hospital is in network if anesthesia, emergency medicine, radiology or pathology specialties are not included. In the case of arbitration disputes, PAP does not want to tie OON payments to the insurer’s usual payment or to a percentage of Medicare or Medicaid. Medicare is intended to serve the aged and disabled population and does not even have rates for certain categories of procedures. Also, in states that have tied payments to a percentage of Medicare for benchmarking payment have seen an adverse impact, especially in small and rural hospitals. Therefore, PAP advocates that the “usual and customary rate” for disputed charges should mean the 80th percentile of all charges for that service in the same or similar specialty and provided in the same geographical area. An independent data base of charges such as FAIR Health Inc. that is not affiliated with a carrier should be used as the benchmark as is already being done by some commercial payers nationally. FAIR Health payment data is market based, covers all CPT codes, is validated and certified by the CMS in all states, and was originally designed and intended for use as an independent benchmark. This issue has also seen a surge of interest at the federal level. The influx of news stories highlighting patients getting stuck with a surprise bill prompted several pieces of legislation to be introduced. Draft legislation introduced by Senator Bill Cassidy, MD (R-LA), a gastroenterologist, is currently the most credible language at this point. The CAP and other physician stakeholders, including the radiologists, anesthesiologists, and even the American Medical Association are working with Senator Cassidy and the other Senate sponsors to ensure that legislation continues to hold patients harmless, includes appropriate payment rates for OON bills, and allows states that already have balance billing protections in place to not be preempted. We expect to see more information early in 2019. Please see Jay Layman’s update on the Balance Billing legislative issue. The PA Association of Pathologists and their national partner, The College of American Pathology, continue their active involvement in legislative efforts to address the problem of surprise bills for patients. Working together with Capital Associates LLC, the government relations firm hired to represent the profession of pathology before the PA General Assembly, we continue our participation as a member of a provider coalition advocating for a legislative solution that takes the patient out of the middle of payment for the services they receive. A new legislative session began January 1, 2019, when legislators were sworn in for the new session which will continue for the next 23 months, and end on November 30, 2020. Efforts to enact legislation in the sessions of 2017 and 2018 were stalled by other legislative priorities and extensive negotiations among insurers, providers, legislators and their staff and representatives of the Wolf Administration. House Bill 1535 was a starting point from which all parties initiated their negotiations and, although substantive changes were offered, the parties did not resolve their differences. A new bill is being drafted by Representative Tina Pickett, Majority Chair of the House Insurance Committee. Introduction is planned for the near future. In preparation for reintroduction of this legislation, Rep. Pickett scheduled two informational hearings of the House Insurance Committee. The first was on February 4th to hear a presentation by representatives of FAIR Health, the independent nonprofit that collects data for and manages the nation's largest database of privately billed health insurance claims and is entrusted with Medicare Parts A, B and D claims data for 2013 to the present. The second was on February 5th and consisted of several panel presentations by insurers, hospitals and providers for the purposes of sharing information with the committee about the reasons for and impacts of surprise balance billing. These presentations focused on rates, billings and dispute resolution. The issue of network adequacy will be the subject of a third information meeting which is unscheduled at this time. Pathologists, together with all hospital-based physician specialties and the PA Medical Society, continue advocating for a payment formula which is market based and oppose a formula based on a Medicare benchmark. We agree that the desired outcome is to hold the patient financially harmless from out-of-network bills. In addition, the provider coalition advocate for network adequacy and that health plans should be held accountable for their obligation to patients for access to care, especially in-network physicians at in-network facilities. The PA General Assembly began voting sessions on January 28, which was followed by appropriations hearings after Governor Wolf presented his budget proposal on February 5th. We expect future action on surprise billing legislation to begin soon after the House Insurance Committee hearings and after a bill is introduced. The Pennsylvania Medical Society’s Specialty Leadership Cabinet met on Tuesday, February 5th in Harrisburg. Two items on the agenda were of interest to PAP. Out-of-Network Billings: an out of network balanced billing bill is being reintroduced for the new legislative session. The current proposal is still to set out of network bills at 150% of Medicare. The Pennsylvania Medical Society opposes this because it would take away hospital specialties ability to negotiate with insurance companies. The house insurance committee held an informal hearing on “surprise balance billing.” Dr. Maria Guyette and Dr. Josh Atkins provided testimony for the Pennsylvania coalition on out-of-network services and PAMED. ​Currently, there are no CAC issues that affect pathologists. ​Pathology demonstrates an archetype of a profession that has been relentlessly growing. The pathologist has been establishing their role as clinical consultant, contributing to ingenious comprehensive laboratory quality plans, and participating proactively in clinical teams for improving systems. This resulted in the process of pathology training getting eloquently expanding with all the sophistications and high expectations from the pathologist as a key player in patient-care provision and laboratory leadership. As residents begin their journey of pathology training, this can be intimidating. It is imperative for the resident to be mindful of all the essential practical roles they will be playing and to carefully follow a strategic plan to achieve their goals and endeavors. Here are four quick tips that you need to consider for leading a successful path to a mindful residency. Effective resources. Pathology is an exemplary medical specialty in terms of being academically demanding and warranting lots of reading to gain knowledge and develop expertise compared to other clinical residencies. An effective resource should enable you to absorb, assimilate, and be ready to apply the scientific and technology knowledge and concepts as part of the patient care team. Choosing the best resource can be challenging, as different personalities have different reading preferences and variable learning styles. Regardless of your learning style, the most practical advice is to get your hands immediately on a book that you like, can relate to, and start reading. Additionally, you should consider both long-term and short-term studying resources. Classic pathology textbooks are a great choice for long-term residency-length plan, while small concise reviews are good for cramming knowledge just before exams. You cannot depend on concise books as a stand-alone source for your education as you need to develop a deep understanding and a firm grasp on the various fundamental topics through critical and comprehensive reading. Time management. Optimizing time in an insightful and sharply perceptive manner can have a drastic impact on your advancement through residency. Preparation for the board certifying exams and future career doesn’t happen overnight. Progressing to become a successful pathologist is like farming, you cannot forget to farm in the spring, play all summer and then cram in the fall to bring in the harvest. You always reap what you sow; there is no shortcut. It is crucial to figure out a studying routine that you can follow, which will enable you to make the most out of your three or four years of training. The best time to start is your day one of PGY-1. The earlier you start investing in your education, the faster you will progress and achieve the goals you have been striving for. Planning and being mindful of your priorities as a resident are essential for getting yourself ready for performing your role in providing healthcare to patients, in addition to building a strong basis for your education. It is of paramount importance to respect your protected education time and perform your role as a provider for care. Ignore distractions that could take you off track from your obligations and deadlines for reports, projects and tests. Wellness. Being physically, emotionally and spiritually fit is essential for success. Despite the inherent stressors of residency training, it is important to acquire the necessary skills to strike work-life balance, avoid burnout, and tune back in. A growing body of research suggests that we are most productive when we move between high focus and intermittent rest. Most graduate medical educational programs provide educational activities on how to cope with stressors and encourage residents to seek immediate professional help if mental, emotional or physical health is functionally impaired. Exercise is not only invaluable to physical wellbeing, it has also been proven to optimize brain function, mood, and the ability to focus, hence; optimizing the ability to operate at your best level of energy and maintain your continuous readiness for effective learning. Professional wellness is nonetheless as important; junior residents should receive leadership training continually through interactions with the senior residents and mentors to focus on leadership, mutual support and team bonding. Networking. 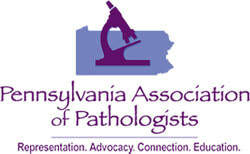 Resident engagement is of the essence when it comes to the strategic goals of Pennsylvania Association of Pathologists. And, is as well assumed for most of the current pathology societies, as tremendous changes have been happening to healthcare and pathology practice in particular. It is crucial for you to be aware of all these dynamics, to achieve connectivity, and to shape your future career by getting actively engaged in pathology society work and contributing to scientific meetings by presentations and volunteering. Getting involved in state societies as well as national and international meetings is a premier source for continuing pathology education which will enhance resident competency and performance, help building up on the ever-growing pathology science, and assist in increasing awareness of the challenges and issues facing the profession of pathology.